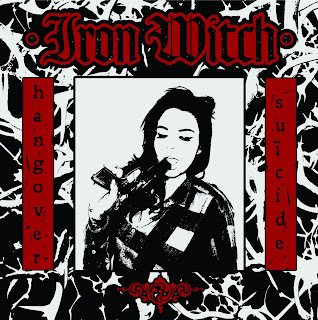 This Noise Is Ours: Iron Witch - Hangover Suicide 7"
I first heard about Iron Witch when I caught wind about a 7" release through Thirty Days of Night Records. That 7" was Post Vegas Blues, witch was unleashed towards the back end of 2012. Up until that record, Iron Witch had released an EP called Single Malt, with was released on CD by Witch Hunter Records. 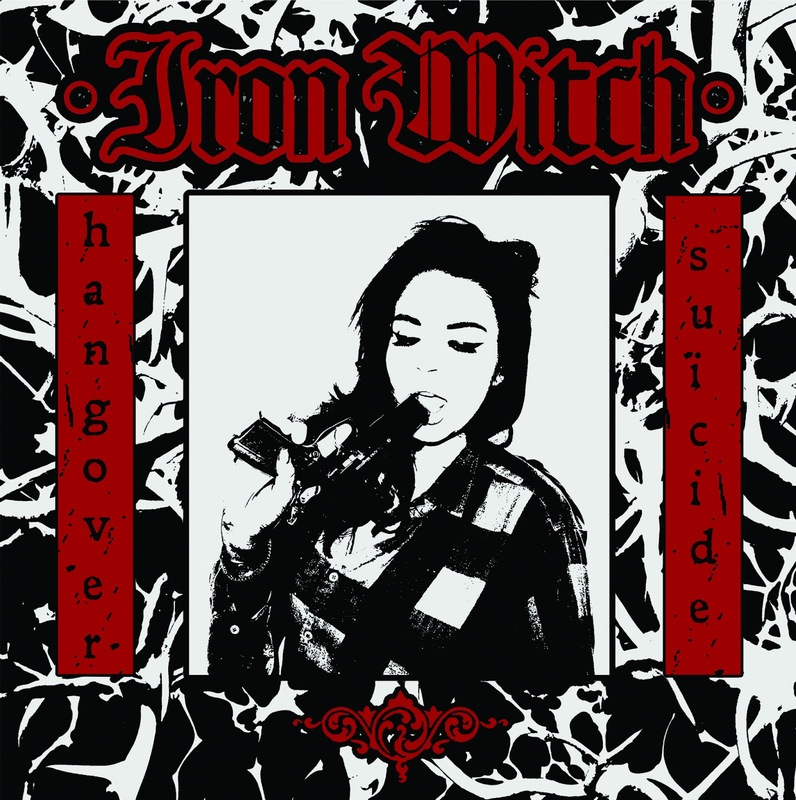 Iron Witch are another band that has risen from the undergrowth in the flourishing Liverpool scene. Hangover Suicide is their latest 7", featuring two tracks. It's also the first release for another new label, Derbyshire based Endtyme Records. which will probably make you wish you had whiteyed after that last toke. The song is split in two by more of that harsh feedback, before Iron Witch lumber back into life and continue to crush you. With the kind of groove that would make bands like Sabbath happy, it's not all just about gut-wrenching low-end as these guys can play. Title track Hangover Suicide is the b-side on this 7". It's less straightforward in it's sound, with Iron Witch playing with different time-signatures and guitar effects. It just add to the feeling of claustrophobia though. It kind of feels like the walls are closing in around you. The unsettling nature of Chris Fane's vocals certainly don't make easy listening, but then again you don't want easy listening. You want to be held at the edge of your seat, you want to be left feeling jumpy at the slightest creak or noise and most importantly, you want to be left knowing that you've just witnessed something with heart, soul and emotion, even if it is black! Iron With achieve all of those things with Hangover Suicide and continue to plough a furrow of their own, of which everything else falls into. It's like a black hole or downward spiral for which you will never recover! This 7" is not streaming anywhere, so you'll just have to keep your eyes on Endtyme Records for news on when the pre-order is going live - http://endtymerecords.bigcartel.com/. Iron Witch are at http://www.facebook.com/ironwitch and at http://ironwitch1977.tumblr.com/.